What you need to know about Apple’s lightest laptop. The MacBook is Apple’s ultraportable laptop, trading portability for speed and connectivity. It has a slower processor than the MacBook Pro, but it still performs well enough to keep you productive. And it has only one USB-C port. But because of its size and weight, it could be the ideal laptop for frequent travelers. The MacBook was released at Apple’s Worldwide Developers Conference in June 2017. 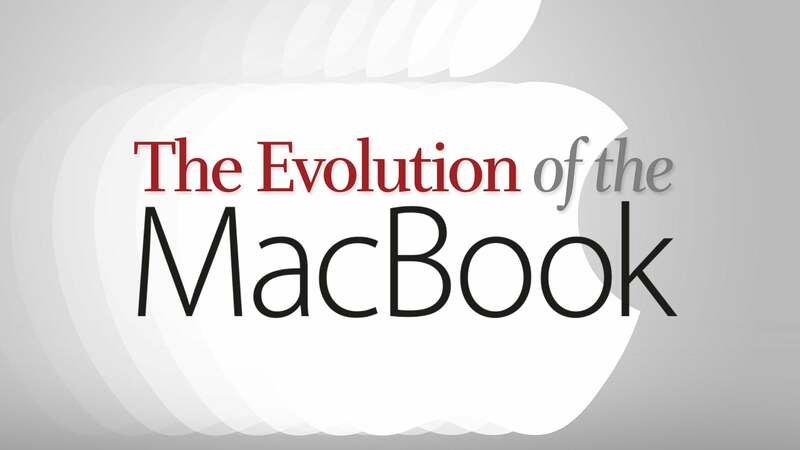 You can learn more about the MacBook by reading about its main features below. To get in-depth analysis, read our full review of the new 2017 MacBook. Also, take a look at our Mac laptop buyers guide, where we compare the MacBook, MacBok Air, and MacBook Pro. Editor’s note: Updated 9/10/18 with a report that Apple could release a new low-cost Mac laptop to replace the current 12-inch model. MacRumors has obtained a research note by analyst Ming-Chi Kuo that states that Apple could add a new, low-cost laptop to the MacBook line. It's unclear if Apple with replace the 12-inch MacBook altogether, or if Apple will keep the 12-inch model in the lineup. Kuo also said that he expects the new MacBook to have Touch ID support, though it will not have a full Touch Bar. If this pans out, it will be the only laptop in the consumer-level MacBook line with Touch ID. Apple's high-end, pro laptop line, the MacBook Pro, includes models with a full Touch Bar. Kuo is noted for his accuracy of his predictions, and his research note follows in line with what was reported by Bloomberg in August. Reported on 8/20/18: Bloomberg reported in August that Apple is planning to release a new low-cost Mac laptop. The new laptop will be similar to the MacBook Air, but the Bloomberg report did not clarify if the laptop will be part of the MacBook or MacBook Air lineups, or if those lineups will be consolidated into one. The main new feature in the new MacBook is that it sports seventh-generation Intel Kaby Lake processors. The previous MacBook used sixth-generation Skylake processors. You’ll see a significant speed boost from the 2017 MacBook over its 2016 and 2015 predecesors. Apple also said during the introduction of the MacBook at its June 2017 Worldwide Developers Conference that all of its laptops now have solid-state drives that feature a 50 percent speed improvement. The MacBook still uses an integrated graphics chip (where the graphics processor is part of the main CPU and uses part of a computer’s main memory). The 2017 MacBook uses the Intel HD Graphics 615. It replaces the Intel HD Graphics 515 from 2016. The MacBook’s 12-inch Retina screen has a native resolution of 2304x1440. 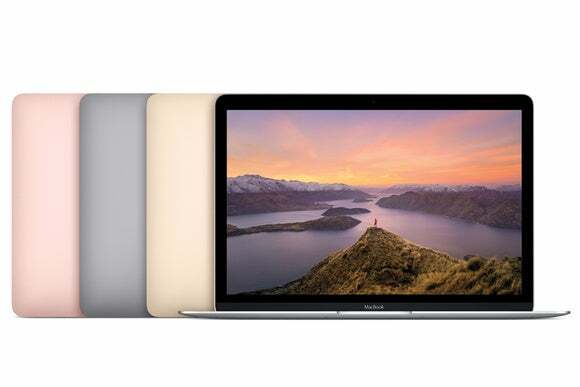 Apple promotes the MacBook as its ultraportable laptop. It weighs a little over 2 pounds and measures 11.04 x 7.74 x 0.52 inches. It is Apple’s smallest and lightest laptop. The MacBook has built-in Wi-Fi and Bluetooth for wireless connections. For external devices like a printer or hard drive, you’ll have to figure out a way to use the MacBook’s lone USB-C connector. If your external device has a USB-C connector, then you can just plug it in. But if it has a different USB connector, you will need an adapter. Most likely, you will need Apple’s USB to USB-C adapter ($18.75 or Amazon). You can also invest in a USB-C hub, like Dodocool’s DC30 7-in-1 USB-C Hub ($44.99 MSRP; $36 on Amazon). Apple offers the MacBook in four finishes: Gold, Rose Gold, Space Gray, and Silver. Apple offers two standard configuration and each model can be customized, which can drive up the price. Here are the key specifications for the two models. You can buy a new MacBook directly from Apple online. Check the Apple website for ship dates, since the laptops may not be available immediately. You can also visit a retail Apple store near you.